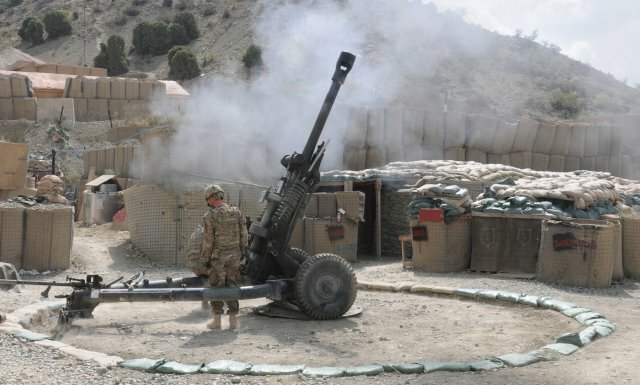 For our fifthteenth installment let's take a look at the most common artillery pieces used in Afghanistan. The M119 howitzer is the US designation for the L119 light gun, a lightweight British 105 mm howitzer also used by the United States Army. It can be easily airlifted by helicopter, or dropped by parachute. It does not need a recoil pit. The howitzer was designed and produced by the British Royal Ordnance Factories as the L118 light gun. In the L118 configuration, the 105 mm ammunition is cased separate loading ammunition (not semi-fixed projectile and propelling charge as sometimes stated). The L118 entered service with the British Army in 1976 and is used by parachute and commando field artillery regiments. It saw combat during the Falklands War, where the 30 guns in action fired up to 400 rounds per gun per day, mostly at "charge super"—i.e., the most powerful propellant charge available. The L119 is the L118 reconfigured to fire NATO-standard US/Nato 105 mm semi-fixed ammunition. In 1987 an agreement was reached to produce the L119 under license by the US as the M119, to replace the M102 howitzer. It entered service with 7th Infantry Division, Fort Ord, California, in December 1989. Some improvements were made to produce the M119A1, including increasing its extreme low temperate envelope from −22 °F to −49 °F, improving maintainability. The Army renewed contracts for the M119 to be produced by the Rock Island Arsenal-Joint Manufacturing & Technology Center (RIA-JMTC) at Rock Island, Illinois into the year 2013. The 105 mm M20A1 cannon was produced by US Army Watervliet Arsenal. 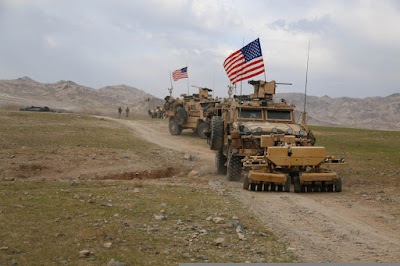 The M119 is currently fielded with all regular army and national guard infantry brigade combat teams, including those in the 10th Mountain, 82nd Airborne, and 101st Airborne divisions, and the 173rd Airborne Brigade Combat Team. It is routinely airdropped in airborne operations and sling-loaded under CH-47 Chinook or UH-60 Black Hawk helicopters in air assault operations. The M198 howitzer is a medium-sized, towed 155mm artillery piece, developed for service with the United States Army and Marine Corps. It was commissioned to be a replacement for the WWII-era M114 155 mm howitzer. It was designed and prototyped at the Rock Island Arsenal in 1969 with firing tests beginning in 1970 and went into full production there in 1978. It entered service in 1979 and since then 1,600 units have been produced and put into operation. 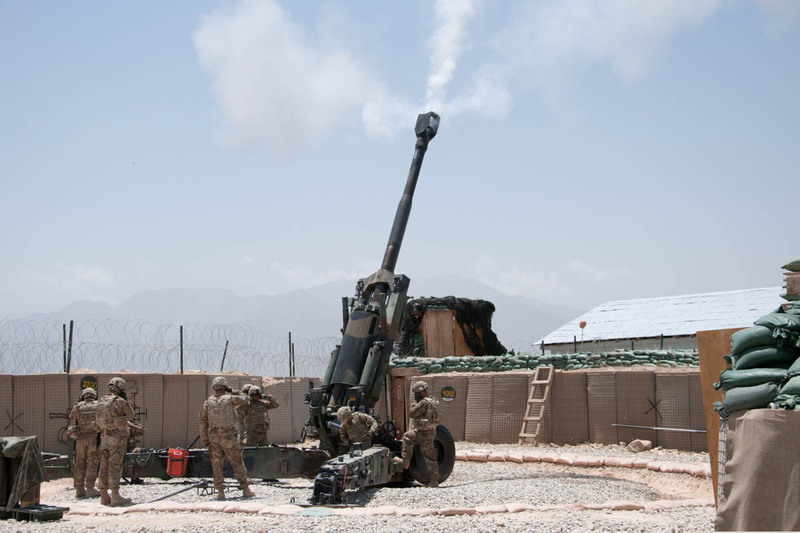 The M198 155 mm howitzer weighs less than 16,000 pounds, allowing it to be dropped by parachute or transported by a CH-53E Super Stallion or CH-47 Chinook. The M198 is a towed howitzer that is transported tail first. The gun tube can be rotated over the howitzer's trail legs to reduce its length, though this requires removal of the muzzle brake, or left in the firing position for faster deployment. When firing, the weapon is lowered onto its baseplate rather than being anchored to the ground, allowing for rapid emplacement. The breech is operated manually via a screw type mechanism that rests low in an ergonomic position. The M198 fires non-fixed ammunition and can be loaded with a variety of propellants and projectiles. The effective range is 18,100 meters when firing standard projectiles, which increases to 30,000 meters when firing rocket-assisted projectiles and guided ammunition. With the 52-caliber modification the range can surpass 40,000 meters. The weapon system requires a crew of 9 and is capable of firing at a maximum rate of four rounds per minute, two sustained. The M198 is being replaced in US and Australian service by the M777 howitzer. The M777 howitzer is a towed 155mm artillery piece, since 2005 successor to the M198 howitzer in the United States Marine Corps and United States Army. The M777 is also used by the ground forces of Canada and Australia. 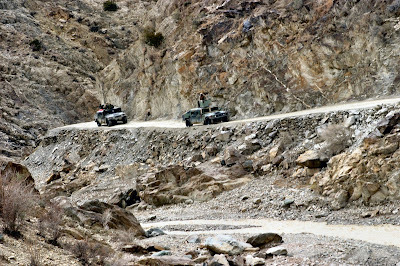 It made its combat début in the War in Afghanistan. The M777 is manufactured by BAE Systems' Global Combat Systems division. Prime contract management is based in Barrow-in-Furness in the UK as well as manufacture and assembly of the titanium structures and associated recoil components. Final integration and testing of the weapon is undertaken at BAE's facility in Hattiesburg, Mississippi. The M777 began as the Ultralight-weight Field Howitzer (UFH), developed by VSEL's armaments division in Barrow-in-Furness, United Kingdom. This company was bought by BAE which ended up responsible for design, construction and assembly (through its US-based, BAE Systems Land and Armaments group). The M777 uses about 70% US-built parts including the gun barrel manufactured at the Watervliet Arsenal. The M777 is smaller and 42% lighter, at under 9,000 lb, than the M198 it replaces. Most of the weight reduction is due to the use of titanium. The lighter weight and smaller size allows the M777 to be transported by the MV-22 Osprey, CH-47 helicopter or trucks with ease to provide increased mobility and more compact storage over the M198. The minimal gun crew required is five, compared to a previous nine. The M777 may be combined with the Excalibur GPS-guided munition, which allows accurate fire at a range of up to 25 miles. This almost doubles the area covered by a single battery to about 1,250 km2. Testing at the Yuma Proving Ground by the US Army placed 13 of 14 Excalibur rounds, fired from up to 15 mi, within 10 meters of their target, suggesting a circular error probable of about five meters. In June 2012, Golf Battery, 2nd Battalion, 11th Marines, out of Camp Pendleton, Calif., dropped the 155 mm M982 Excalibur round on insurgents 36 kilometers away — more than 22 miles — in Helmand province, marking the longest operational shot in the history of the M777 howitzer (and the longest operational artillery shot in history for the Marine Corps). 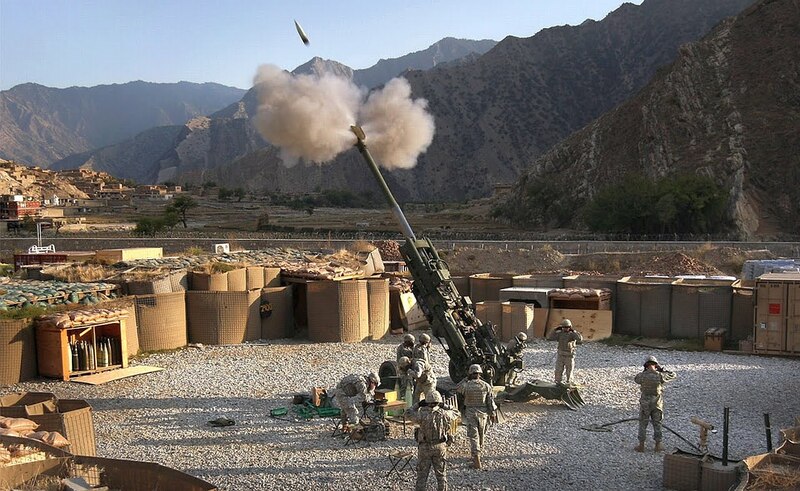 In 2014 the US military began fielding several upgrades to their M777 howitzers including new liquid crystal display units, software updates, improved power systems, and muzzle sensors for onboard ballistic computing. Future upgrades include a touchscreen Chief Section Display, a new Mission System Computer, and a digital radio. 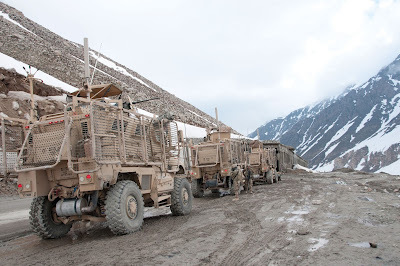 For our fourteenth installment let's take a look at the most common HMMWVs in Afghanistan. HMMWVs first saw combat in Operation Just Cause, the U.S. invasion of Panama in 1989, and continued service through the Afghanistan and Iraq Wars. 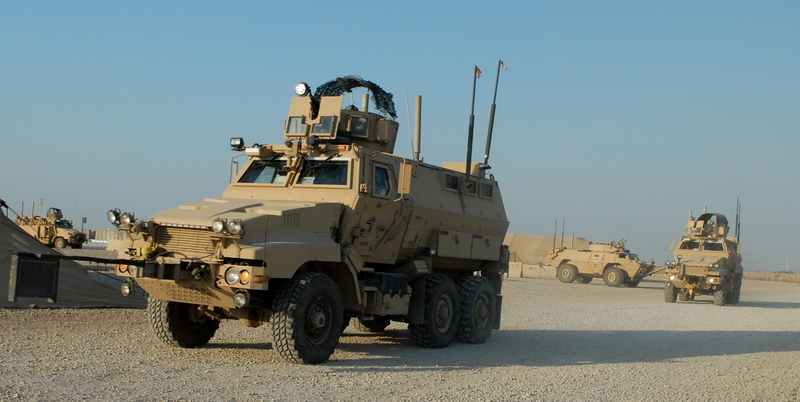 In 2007, the US Military began a process of phasing out HMMWVs with MRAPs, M-ATVs, and the Joint Light Tactical Vehicle (JLTV). The M1025/M1026 and M1043/M1044 armament carriers provide mounting and firing capabilities for the M134 Minigun, the Mk 19 grenade launcher, the M2 heavy machine gun, the M240G/B machine gun and M249 LMG. The M1025/M1026 and M1043/M1044 armament carriers were also eventually fitted with add-on armor kits. The armor kits fielded include the Armor Survivability Kit (ASK). The ASK was the first fielded, in October 2003, adding about 1,000 pounds to the weight of the vehicle. Armor Holdings fielded an even lighter kit, adding only 750 pounds to the vehicle's weight. 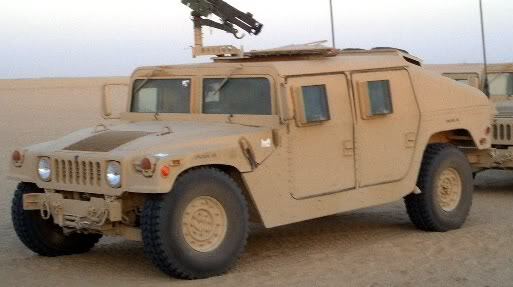 The M1114 "up-armored" HMMWV, also features a similar weapons mount to the M1025. 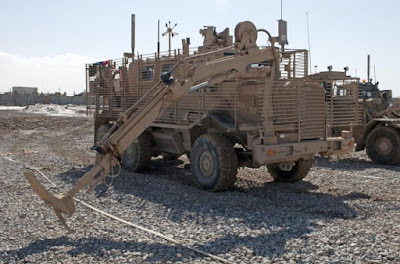 In addition, some M1114 and M1116 up-armored Vehicle models feature a Common Remotely Operated Weapon Station (CROWS), which allows the gunner to operate from inside the vehicle, and/or the Boomerang anti-sniper detection system. The shortfalls of the XM1109 were corrected in the M1114, which began production in 1995. The M1113 heavy HMMWV chassis was selected by the Army as its A2 chassis for HMMWV purchases, originally used for special operations vehicles and communications shelter carriers. The M1113 had the capacity to bear the weight of the additional ballistic protection design, allowing an increase in GVW. The M1114 used the improved M1113 chassis, also adding air conditioning, a turbo-charged engine and a larger radiator. 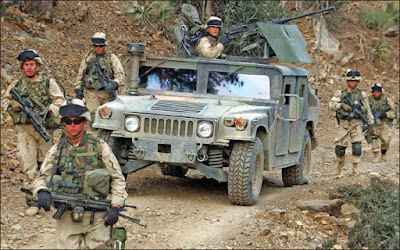 This gave the vehicle the versatility of the standard HMMWV coupled with the survivability of the new protective armor kit. The trial for the M1114 came in Afghanistan where M1114s were tested in harsh combat and brutal terrain. Improvements led to the development of the M1151 model, which quickly rendered the previous models obsolete. By replacing the M1114, M1116, and earlier armored HMMWV types with a single model, the U.S. Army hoped to lower maintenance costs. The M1151 Enhanced Armament Carrier is an improved version of the standard Humvee (HMMWV) designed to replace the M1025A2 used by the United States Armed Forces as a response to United States Central Command requirements. The M1151 HMMWV has a heavier chassis and improved engine to handle add-on armor. It is built on an Expanded Capacity Vehicle chassis, which allows for more passengers or additional supplies (up to 2,300 lbs). Its two- or four-seat variant is the M1152 Enhanced Troop/Cargo/Shelter Carrier, designed to replace the M1097A2 Heavy HMMWV and M1113 Expanded Capacity Vehicle. One of the latest iteration of the Humvee series can be seen in the M1151A1 and later up-armored A1-versions. It has a stronger suspension and larger 6.5 liter turbo-diesel engine to accommodate the weight of up to 1,500 lb of additional armor. The armor protection can be installed or taken off depending on the operating environment, so the vehicles can move more efficiently without armor when there is no threat of attack. There is some underbody armor that moderately protects against mines and roadside bombs. 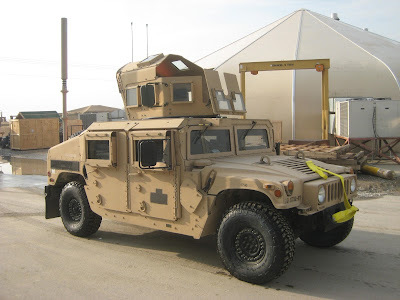 Other improvements include Vehicle Emergency Escape (VEE) windows that can be quickly removed so troops inside can escape in the event of a rollover, jammed door, or the vehicle catching fire, and a blast chimney that vents the force of a bomb blast upwards and away from the occupants. The M1151A1 has a crew of four, can carry 2,000 lb of payload, and can tow a 4,000 lb load. On roads, it has a top speed of 50 mph and a range of 300 mi. The Caiman is an armored vehicle with a V-hull design based on the Family of Medium Tactical Vehicles (FMTV) and Low Signature Armored Cab (LSAC), initially developed by Stewart & Stevenson. Stewart & Stevenson was later acquired in 2005 by Armor Holdings, which developed the Caiman from the FMTV and LSAC designs. Armor Holdings also owned O'Gara-Hess & Eisenhardt (which had exclusive rights to the up-armor kits the U.S. Military selected for their Humvees) and Integrated Textile Systems (who had an ultra high molecular weight polyethylene fiber called Tensylon that is processed into composite armor) at the time. In August 2009, the U.S. Army announced that Oshkosh Defense had been awarded the FMTV A1P2 rebuy production contract. This award did not include the Caiman. Starting in October 2013, local police and sheriff offices throughout the United States began assuming control of many Caiman 6x6 MTVs. 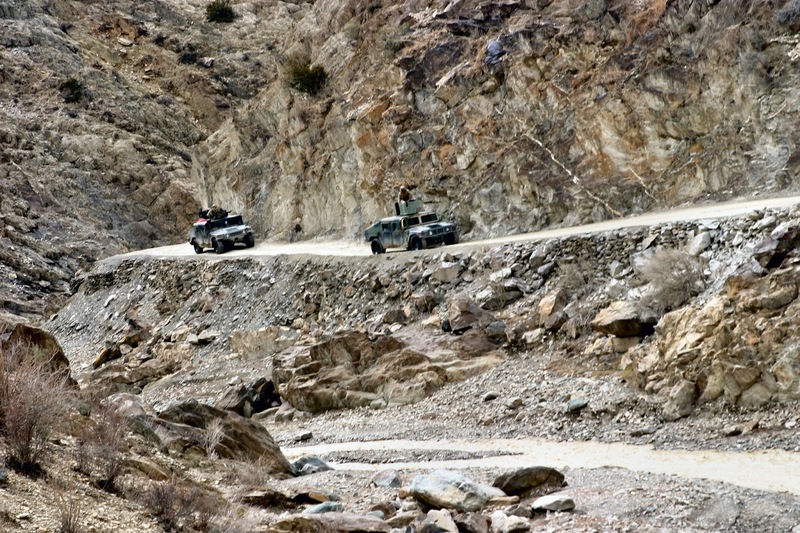 The US Federal Government offered these vehicles to local jurisdictions as the need for them greatly decreased after the Iraq and Afghanistan wars ended. The Caiman MTV normally costs $412,000 but is sold for only its transportation costs to the local jurisdiction. The RG-33 is a mine-resistant light armored vehicle initially designed by BAE Systems Land Systems South Africa (formerly Land Systems OMC) a South African subsidiary of BAE Systems. BAE Systems in the US extensively modified it with additional protection, new power train and suspension systems. It was built in a number of locations including York and Pennsylvania. It was one of several vehicles being fielded by the US Armed Forces in Iraq under the MRAP program. It is based on the RG-31, which itself is based on the Mamba APC, although it is roughly twice the weight of a RG-31. There are two variants, the standard RG-33 has four wheels and weighs 22 tons while the extended RG-33L variant has six wheels, can carry twice as many people in the back, and weighs 26 to 37 tons depending on the version. It was selected to be the sole producer of the US Army's $2.88 billion Medium Mine Protected Vehicle program. The initial contract is worth $20 million. 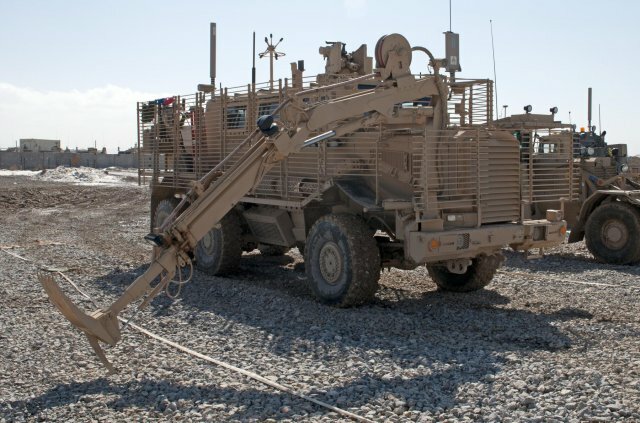 BAE representative Doug Coffey says that live-fire testing at Aberdeen, Maryland, proved the RG-33 to be the overall most survivable MRAP vehicle. The RG33 is manufactured in several configurations including the category I 4×4, category II 6×6, the heavy armored ground ambulance (HAGA) and the special operations command (SOCOM) vehicle. It features a monocoque armored v-hull, for maximized interior space, seats and footrests suspended from the ceiling, run-flat tires, and an optional armored glass turret (Gunner Protection Kit or GPK), for maximized visibility and protection. The monocoque hull does not extend under the engine like some other armored vehicles. The engine compartment is a separate moncoque structure that bolts to rest of the hull. The vehicle is notable for its extensive use of TRAPP armored glass in the crew compartment. Like the Buffalo, it can be equipped with a robotic arm. The U.S. has fielded 259 RG-33 4x4 variants in a Special Operations Command (SOCOM) configuration with remote weapon stations, two extra seats, and a rear door assist. The U.S. has also fielded 16 RG-33L 6x6 variants in a Heavy Armored Ground Ambulance (HAGA) configuration. The Pentagon has future plans to add the Crows II remote weapon station, Boomerang anti-sniper system, and the Frag Kit 6 anti-EFP armor. In 2009 Force Protection started producing the A2 version, with major changes in the Axle Tech rear axles, Cat C13 engine, Cat CX31 transmission, and suspension, along with additional upgrades to the HVAC system, hood and front bumper. The easiest way to identify an A1 version from the A2 version is that the front bumper of the A2 has a larger profile. The last Buffalo A2 MRAP truck 795 was completed in June 2014. Force Protection was acquired by General Dynamics Land Systems (GDLS) in 2011 for $350 mil.